Living with Gods, an exhibition currently on at the British Museum, is awesome. But it's also hard to describe accurately in just a few words on a blog, which is why I took my time writing about it, even though I went to see it several weeks ago. The exhibition is party about the history of religion. 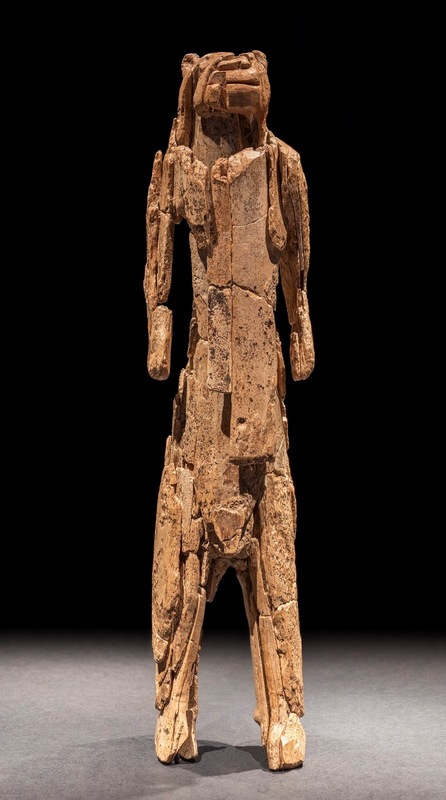 It starts with a small room containing the Lion Man, a 40,000-year-old mammoth ivory sculpture of a being that is half man, half lion. It is the earliest evidence of beliefs and practices that might be spiritual or magical. However, what the exhibition shows is that it is in the nature of human beings to have beliefs and practices concerned with things beyond nature. Psychologically, spirituality and religion can help us cope with life's problems. 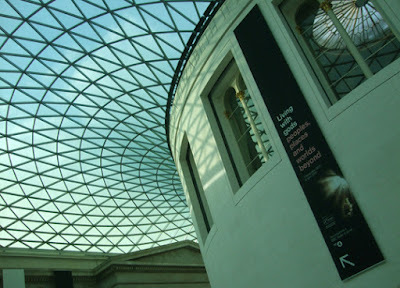 The description on the British Museum website says: "Stories, objects, images, prayers, meditation and rituals can provide ways for people to cope with anxieties about the world, and help form strong social bonds." Different areas of the show look at key themes of belief. The significance of light, water, fire and energy is revealed, linked to the idea that religious experience is governed by our senses. Objects reflect how people connect to worlds beyond nature through the natural environment or in specially built spaces. Other objects show the power of prayer, the importance of festivals and pilgrimage, and the marking of key life experiences – birth, coming of age, marriage and death. The long history of conflict and coexistence between different religions and beliefs is also explored. Living with Gods is partly a collaboration with the BBC and there is a Radio 4 series of 30 daily programmes presented by former director of the British Museum Neil MacGregor. You can download them as podcasts. Penguin Books also collaborated with the exhibition and is publishing a book called Living with the Gods: 40,000 Years of Peoples, Objects and Beliefs, which you can view on Amazon. Photos: Top: Outside the exhibition at the British Museum. Right: Lion ManStadel Cave, Baden-Württemberg, Germany, 40,000 BCThe Lion Man sculpture from Stadel Cave in south-west Germany is the oldest known evidence of religious belief in the world. © Museum Ulm, photo: Oleg Kuchar, Ulm. Left: Provisional book image.